If you’re not familiar with the Chemex it is a coffee maker that is basically just a really fancy pour over coffee maker with the funnel built over it’s own carafe. Chemex coffee makers use their own special filters too. The filters are sized correctly and are a bit thicker than a standard paper filter used in drip coffee makers or other coffee drippers. The coffee from a Chemex tends to be a bit richer than what you might expect from a drip coffee maker or standard pour over device. This is largely because of the slower brew time caused by the thicker filter. You can optimize the water temp during brewing and ensure all the grind is saturated contibuting to good even extraction. The slower drip simply produces a better cup of coffee but pouring it must be done like other drippers, carefully and at an even speed. 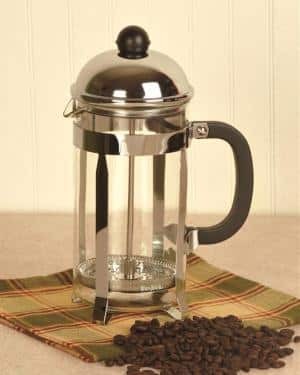 This is why most people who regularly use a Chemex also use a dedicated electric water kettle or gooseneck kettle to make pouring water that much easier. 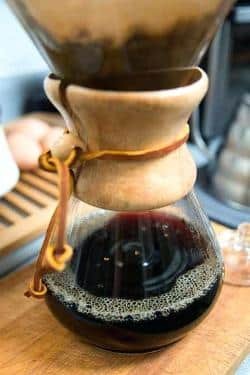 We have a few dedicated pages on this site comparing Chemex coffee to other brewing methods and encourage you to check them out. This page is a full comparison of Chemex coffee vs standard coffee drippers. You can also see the Chemex vs the french press here or the Chemex vs the Aeropress here. Over all we think the Chemex is pretty sweet; you can easily buy yours today by using the simple add to cart button or checking it our over on Amazon. 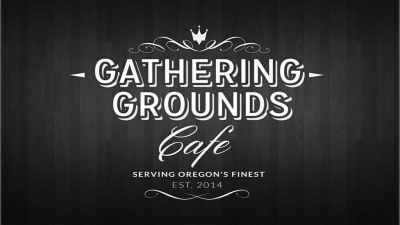 At Gathering Grounds we don’t sell products that don’t make good coffee. We like the Chemex, it makes rich and flavorful coffee if you follow the instructions and use good beans. There is a lot of room for experimentation too though so if you prefer your coffee a certain way, you have the versatility to play around until you get the coffee you want. The Chemex is made from a non-porous Borosilicate glass much like a good french press so it won’t retain older flavors or smells when washed. 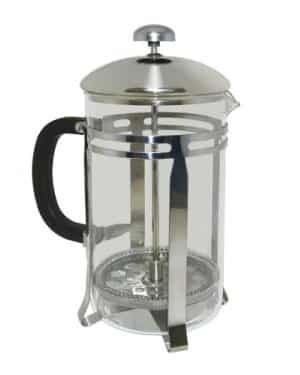 The coffee maker is designed to extract flavors better than normal drippers as it is able to slow the flow of water down. The thick filter also does a better job of filtering fines and oils out of your cup so you get the cleanest cup possible, so yeah, we’re confident you’ll find Chemex coffee to be pretty good… especially if you use some freshly roasted and ground beans. The Chemex is sold without filters, but there are a wide range available to purchase here. There are circular or square, prefolded or unfolded, bleached or unbleached – the choice is yours. The shape doesn’t really make much difference except that some people find it easier to get a hold of the filters by the square corners, they perform exactly the same. Bleached or unbleached is a matter of personal choice but the environmental consequences of using bleached goods aren’t recommended and it’s yet more unnecessary chemicals with the potential to get into your cup. The Chemex filters are the only ones recommended for use with the coffee maker, they are thicker and hold more grounds than most regular filters. Take a circle filter and fold it in half, then in half again until you end up with a quarter circle. When held with the rounded edge facing you, you’ll see four layers of paper, part them between the third and fourth so you get a cone with a thin, one layer half and a thick, three layered half. The technique for square and half moon filters is the same, halve them twice and then find the outside edge, parting the layers, so that there’s three one side and one the other. The thicker half should be placed over the groove in the Chemex. The manufacturer recommends a Regular or Automatic grind, you can use drip grind but it’ll take longer to get a good cup of coffee. The manufacturer advises against using finely ground beans because they’ll clog the filter and hinder the brewing process. The recommended ratio is one rounded tablespoon of coffee per 5oz cup. You have a lot of room for experimentation here however, as you can use more coffee per cup if you like, to make a stronger coffee without getting a bitter taste. Chemex is different to other Pour Over coffee makers mostly because of the filter. Rather than a thin paper or metal filter that allows oil and sediment to get into the cup, the heavy filter gives a cleaner cup with a less bitter taste. The coffee is milder too, but if you like stronger coffee, you can always increase your coffee to water ratio until you get a strength you’re happy with. The Chemex differs from drip coffee makers in that it’s the best of both worlds for many. 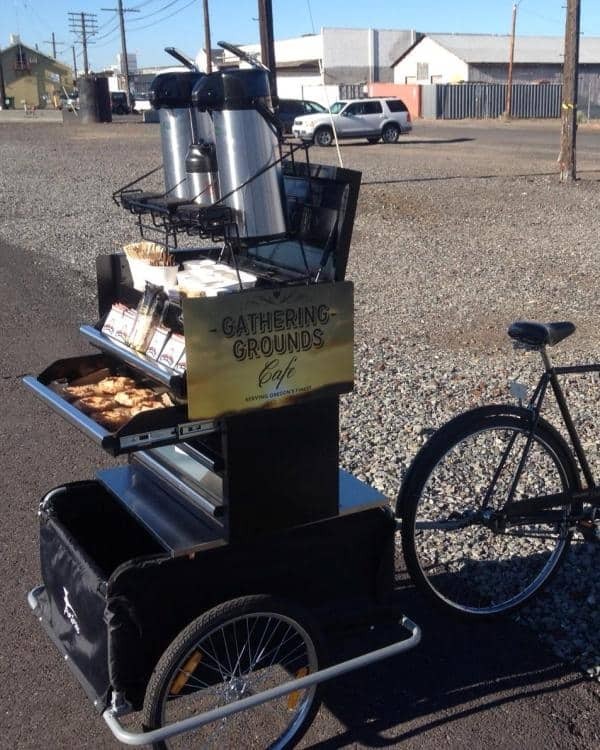 You get the same smooth cup of coffee but you get to keep all the control of the brew. If you like the coffee produced by auto-drip machines but you want to try out different water temperatures or ratios then the Chemex gives you the freedom to do that. 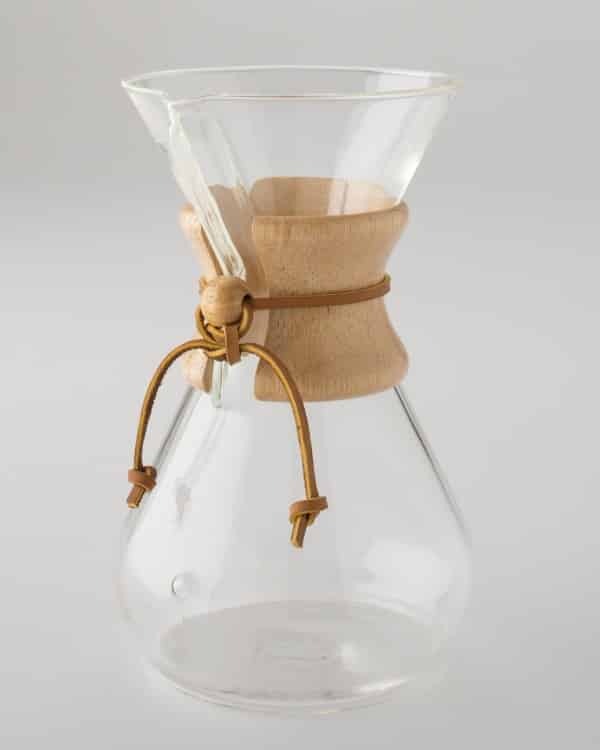 The whole design of the Chemex is based on getting a pure cup of coffee. 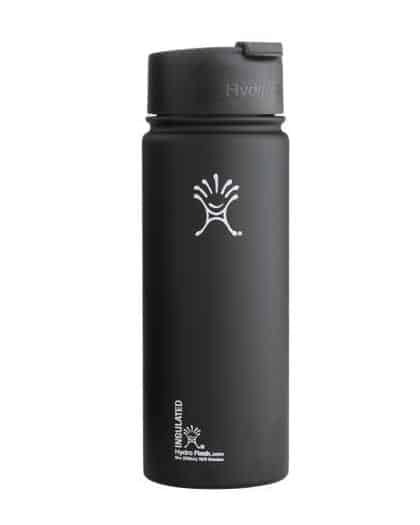 It is made from glass instead of plastic to prevent the taste of the plastic getting into the cup. It’s basically made to function exactly as a piece of laboratory equipment would. The filter is another big difference, the Chemex uses heavy cone shaped filters unlike the flat ones used by the vast majority of auto-drip machines. This cone shape helps to get a uniform extraction and therefore a great cup of coffee. The brewing time is very different too, most automatic-drip machines are too quick in making the coffee, and the beans are not allowed to bloom into the stuff great coffee is made of, they are just blasted to get a cup of coffee as quickly as possible. The Chemex method allows for a slow brew which factors in time for blooming, making the most of the beans. It takes up less space, is easier to clean and is cheaper also. How Do You Clean A Chemex Coffee Maker? The Chemex is essentially a glass beaker. It can be cleaned in a sink with warm soapy water or you can put it in the dishwasher if that’s most convenient. Of course, you need to be sure to rinse it well because nobody like a soapy cup of coffee. Is The Chemex Dishwasher Safe? The Chemex is indeed dishwasher safe, it can be cleaned easily without the use of a dishwasher though and a quick rinse with soapy water soon after use should be enough to get your Chemex clean. Firstly, place a folded filter into the Chemex cone, make sure that the thick (three layered) end goes next to the pouring spout. Next you need the coffee, so place the amount you require (the recommended amount is one rounded tablespoon per 5oz cup) into the filter. You need to use regular or automatic grind. Boil some water, either in a kettle or on a stove and when then remove it from the heat until it stops boiling vigorously it’ll be about the right temperature (around 200 Fahrenheit). Pour a small amount of water over the grounds, just enough to saturate them, then allow 20-30 seconds for the carbon dioxide to escape from the beans so that they brew better. Once you’ve allowed time for the bloom, then you can add more water, being careful not to overfill the Chemex, until you have the desired amount of coffee. Then just discard the filter containing the grounds and go drink your coffee! Also, you can see all of our pour over coffee makers right here. The 7 Best Organic Coffee Brands of 2018! !